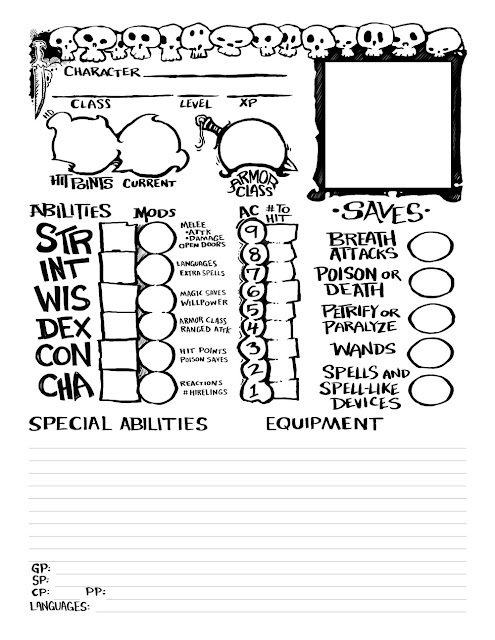 Blank character sheet for B/X and Labyrinth Lord games, as posted earlier. Hopefully no dreadful spelling errors. Some of these elements were lifted from other sheets, such as one I did for Andy Solberg's Iron League. So it's a bit of an amalgam. But I really like the balance here. It's not too busy and it's nice and clean. 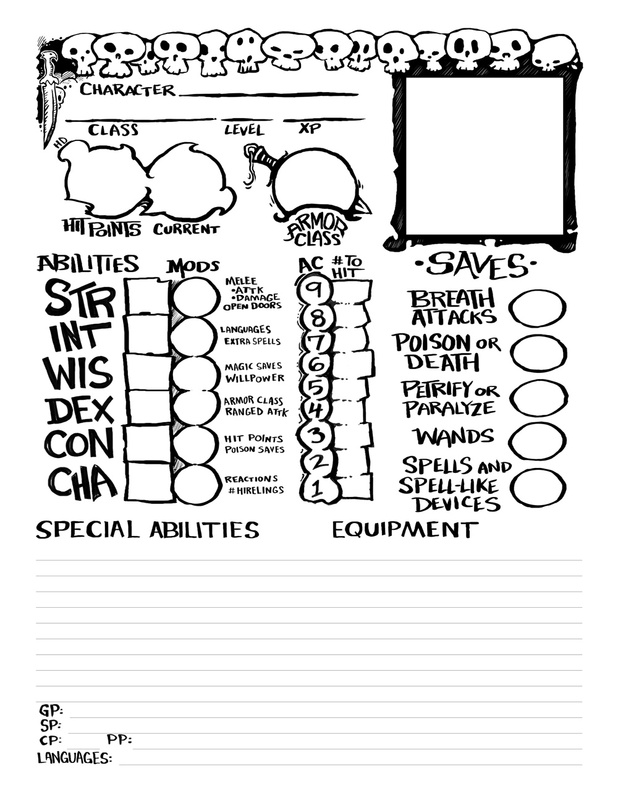 Some things are not represented, such as alignment, but that's easily inserted ("chaotic magic-user"). I added "willpower" to the Wisdom uses because I use the standard modifier in my games for certain on-the-fly tests of willpower. EDIT: I corrected the sheet due to a few errors. Thanks for pointing them out, everyone!